Over the past five years, the groups Natural Information Society and Bitchin Bajas have become staples of Chicago underground music, but from opposite ends. NIS leader Joshua Abrams has one foot in the city&apos;s improvisational jazz scene, a communal tradition that extends back 50 years to the heyday of the AACM (Association for the Advancement of Creative Musicians). Cooper Crain of Bitchin Bajas moves in more avant-rock circles, primarily as guitarist for the psych-leaning quartet Cave. But NIS and Bitchin Bajas have something else in common: they both make repetition-based, meditative music that can be therapeutic, calming the mind through the ears. NIS centers this effect via the instrument Abrams plays called the guembri, a three-string Moroccan lute on which he plucks out patterns that his band-mates augment with drums, guitars, and the harmonium. Crain&apos;s trio creates their sonic oasis using synths, organs, and wind instruments, building beatific drifts out of rising tones. 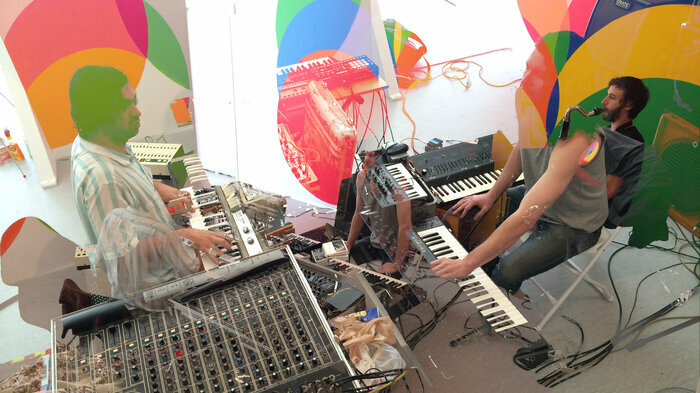 These tools turn out to be remarkably compatible on the groups&apos; first collaborative album Autoimaginary. The insistent, hypnotic pulses of NIS meld with Bitchin Bajas&apos; drone-tinted layers like gentle rain falling from dense clouds. "Sign Spinners" hits the ground with Abrams&apos; running bass, then quickly ascends, as sparkly keyboard figures and shimmering guitar accents mirror each other. Things gradually intensify, cresting when a plaintive flute perches atop the bubbling mix. This airy, spacious music grows and grows without ever sounding cluttered. On the surface, "Sign Spinners" seems to barely move from where it began. Abrams&apos; loop churns along throughout, and no sudden left turns come up along the way. Yet by the time the song ends, you&apos;ll likely feel mentally transported – perhaps to the same blissful place where Natural Information Society & Bitchin Bajas seem very happy to spend their time together. 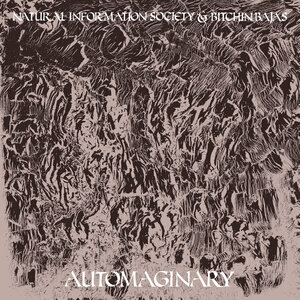 Autoimaginary is out now on Drag City.